On Tuesday evening the Central Library welcomed a small panel of experts for an hour-long discussion. Designed to spark thinking and discussion around the theme of ‘Northern identity,’ coinciding with the current exhibition on display in our Room 700 arts space, this event saw Oli Bentley of Split (the team responsible for the aforementioned exhibition) and Andrew McTominey and Michael Reeve, both of the Northern Identities Research Network, engage in a wide-ranging and thoughtful exploration of issues surrounding ‘the North’. This display, and the main exhibition, will remain in Room 700 for the remainder of April. Reproduced here, however, are the short cards written by our Librarians, which contextualised the material on show, and asked questions of their audience. Drinking alcohol – specifically beer – has often been associated with the North. Brewers, bars and bottle shops have flourished in the region over the last decade, building on the success of ancestors such as Beer Ritz (1997) and North Bar (1998). Names such as Roosters (Knaresborough), Northern Monk (Leeds) and Magic Rock (Huddersfield) are known throughout Yorkshire, the North – and beyond. What does the success of the modern beer scene in the North mean for its sense of identity? Many of these breweries combine a respect for the heritage of their craft and region with an irreverent sense of humour and an outward-facing, inclusive sense of community. Is this what ‘being Northern’ means today? The cans on display here show several of these breweries building on their heritage in the North, remixing tradition to present beer that takes the past and makes something new, or which deliver playfully-ironic takes on Northern stereotypes, or outsiders’ platitudes about the region and its economic potential. Collaboration – across the region, country, continent and world – is key to the modern brewing scene. These cans show Northern brewers working across boundaries to produce some of their most iconic drinks. But does it impact our sense of ‘the North’ when some of our most identifiable brands source their ingredients from overseas? Is this opening to the world – or co-option into globalisation? The passion for a particular football team – and a related sense of place – can be said to define a particular version of Northern identity. How do these two visions of fandom contrast? How do they change the way we think of ‘Northerners’ in the context of fandom? 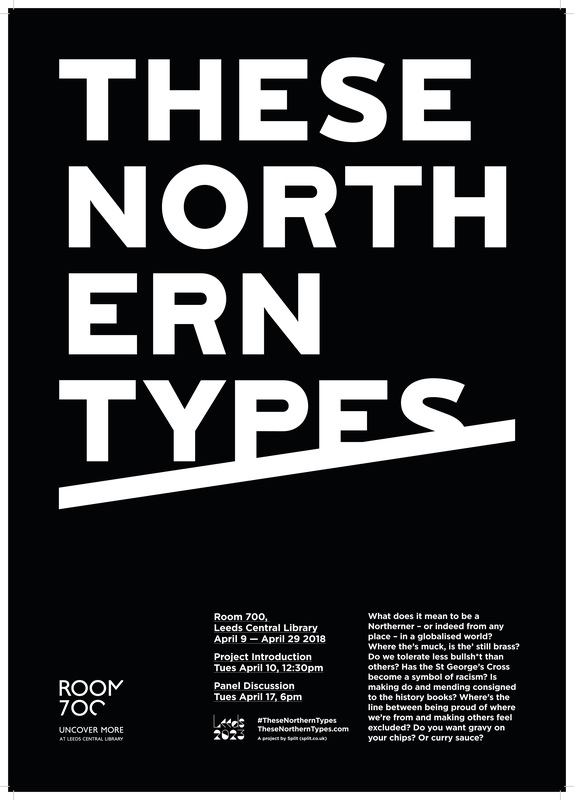 These Northern Types will remain at the Central Library until April 29, before moving to the Sunnybank Mill in Farsley.